Well, after an appalling start on the Anzac spirit front with the 9mm series (one Australian crime writer covered out of the first 72 editions), I've been rectifying things a little with a few talented Ocker scribes in amongst the past 20 or so editions that we've ripped through in the past three to four months. I have over 110 Kiwi and international author interviews in the bag now, although I'm only up to the 94th instalment in terms of publishing the series. The good news? So many more cool author interviews to come!! 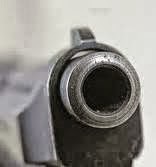 Today's 9MM celebrates one of the finest crime writers in the antipodes, and the winner of the 2014 Ned Kelly Award. And just like our New Zealand award, the Ngaio Marsh Award, was taken out by a migrant from the north, Scotsman-turned-Kiwi Liam McIlvanney, the Australian crime writing prize this year went to the wonderful Adrian McKinty, who was born and raised in Northern Ireland before moving to the United States as an adult then eventually settling in Australia. 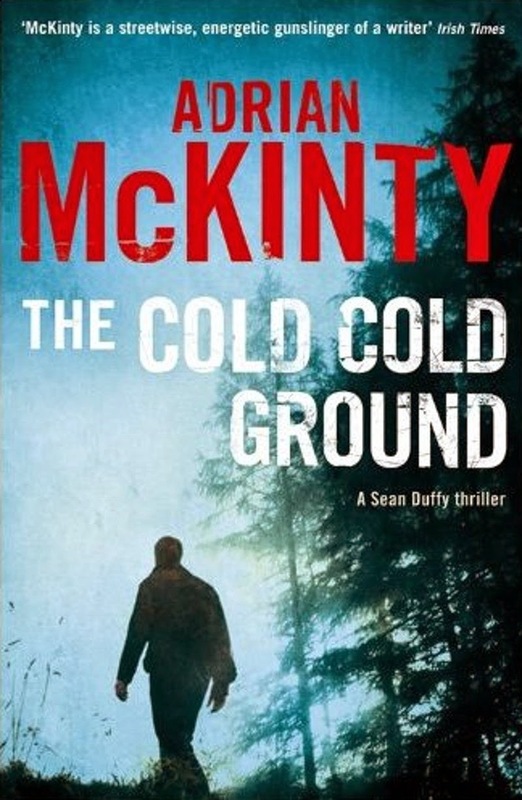 McKinty is a crime writers' crime writer, one of those high quality exponents of the genre who pens great prose that weaves in greater issues beyond an exciting plot, while delivering on that front, with terrific characters too. A former law student and Oxford graduate (philosophy), he's known for his acclaimed Sean Duffy trilogy, which explores the Troubles of Ireland, but even before he began addressing those issues in that series, he was beloved by crime fiction aficionados for his stylistic and violent writings in more than a dozen other books, with Publisher's Weekly calling him 'one of his generation's leading talents'. I had the pleasure of meeting McKinty in person for the first time at the Sydney Writers Festival in May (picture below is of him signing books following a great session with Michael Robotham and John Connolly). But for now, Adrian McKinty faces down the barrel of 9mm. The Hobbit. It was 1977 and I was about 9 or 10. It took me off to another world completely and I really dug that. And the map. I loved that map. I wrote to JRR Tolkien to thank him for the book and someone at the publishers (Allen and Unwin I think) told me that he was dead, but they had forwarded the letter to his son Christopher Tolkien, who about 6 weeks later wrote to me! Such a thrill. I'd published a novella and a few short stories and I'd done some ghost writing (which I'm still not allowed to talk about). I've got a little kayak and I like to paddle it around the bay, sometimes I'll take a fishing rod with me - nothing that exciting I'm afraid. If they're going to Carrickfergus they should visit my sister's pub The Joymount Arms - best pint of Guinness in Northern Ireland! Also take a walk up Coronation Road where most of the Duffy books take place and it really hasn't changed that much since then (I was just there in August), even though most of the houses aren't council houses anymore. #113 Coronation Road is the house where I was born and grew up and where Duffy lives in the books. Jennifer Lawrence. She's got a very expressive face and she would give the punters something to look at in what would clearly be a very very boring movie. I like different bits of different books. I think the opening page of I Hear The Sirens In The Street is the best thing I've ever written, but probably my favourite book is The Cold Cold Ground because I finally had the balls to write about the Troubles after avoiding it for 10 years. Initial excitement and then a lingering, bitter sense of disappointment as the book failed to sell, got taken off the shelves and was remaindered. I've been heckled twice. Once at a book reading in Boston where a guy accused me of being a snob because I "used big words" and once in Belfast for sectarian reasons. You don't see that much at book readings in general. Thank you Adrian. We appreciate you taking the time to chat to Crime Watch.